The Animal Legal Defense Fund vehemently opposes Texas veterinarian Kristen Lindsey’s latest attempt to overturn the suspension of her veterinary license. Lindsey temporarily lost her license for cruelly and callously killing a neighbor’s cat, Tiger, in 2015. After killing Tiger, Lindsey posted a photo to Facebook of herself with Tiger’s body, the arrow protruding from his head. She bragged in the post about killing the cat. While the Austin County District Attorney disappointingly declined to prosecute Lindsey, the Texas Board of Veterinary Medical Examiners moved to revoke Lindsey’s license. Lindsey rejected that recommendation. The matter then proceeded to the Texas State Office of Administrative Hearings for a hearing. A panel of administrative judges recommended Lindsey’s license be suspended for five years. For the first year she’d be barred from practicing, for the following four she’d be on probation and could practice with the supervision of another veterinarian. The Texas Board of Veterinary Medical Examiners accepted these recommendations. Lindsey appealed, and lost. In 2018, the Third Court of Appeals in Texas upheld the Board’s decision, and ordered Lindsey to repay all costs related to the appeal. Lindsey is now appealing this revocation to the Texas Supreme Court. The Animal Legal Defense Fund opposes this appeal. The penalties that Lindsey has suffered for killing Tiger are already too light. 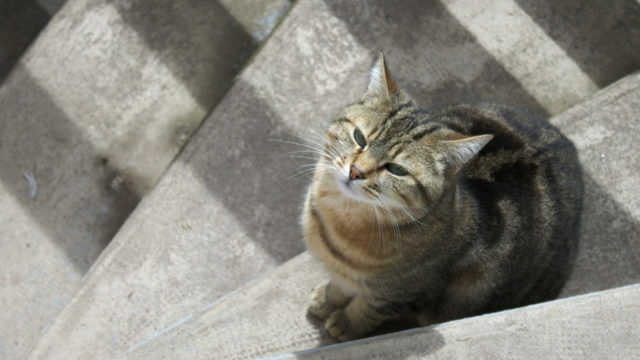 “Kristen Lindsey continues to think she is above the law — though multiple Texas courts have found that her brutal killing of a defenseless cat violated the veterinarian code of professional conduct. The Animal Legal Defense Fund will continue to ensure that Lindsey is held accountable for her appalling conduct and callous lack of remorse,” says Animal Legal Defense Fund Executive Director Stephen Wells. 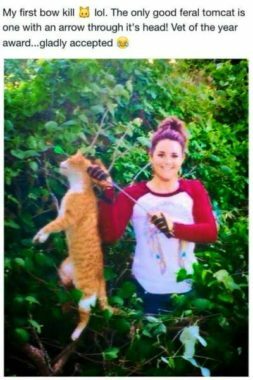 In 2015 Lindsey shot a cat with an arrow, killing him, then bragged about it on Facebook. 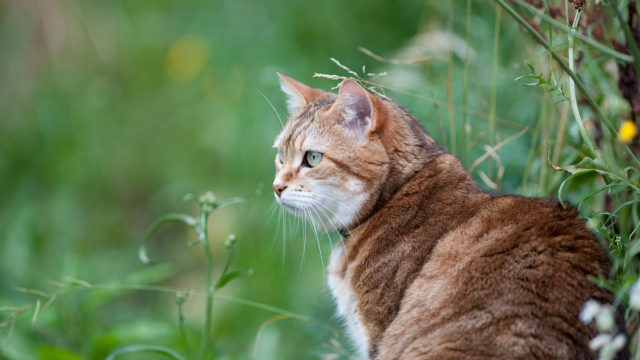 Was the orange tabby cat in Kristen Lindsey’s April 2015 Facebook post a companion animal named “Tiger,” killed without his owner’s consent? The Animal Legal Defense Fund is deeply disappointed by the Veterinary Board’s decision to only temporarily suspend Kristen Lindsey’s veterinary license.